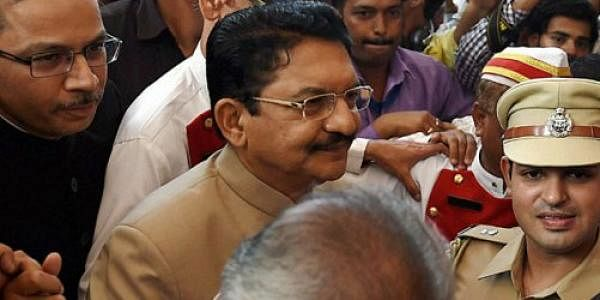 NEW DELHI: Speaking on the prevailing political crisis in Tamil Nadu, former Attorney General Soli Sorabjee said Governor Vidyasagar Rao cannot delay his decision to appoint a stable government in the State indefinitely. Speaking to Express, Sorabjee said, “Though the Governor is waiting for the apex court to pronounce its ruling, he just cannot delay it that long. Normally the Governor has to act on the advice of the Cabinet, but in this case, since the matter is sub-judice, he too is waiting for the ruling to come out before giving his nod to the swearing in ceremony,” Sorabjee said. The Governor, according to reports, had sought the legal advice of Sorabjee on Saturday. He also added that the Supreme Court verdict on the disproportionate assets case would most likely be delivered by Thursday. “The Governor would have to invite whosoever has the numbers for the post of the Chief Minister. Once that is done, it is the responsibility of the candidate to prove his/her majority on the floor of the house,” he said. In another interview, given to a Tamil TV channel, Sorabjee said there was no provision to implement the President’s rule in the State. “That can be done only if the Governor sends a report. Why would the Governor send a report when this is pending? I don’t think the President’s rule is appropriate in this case,” he said.